“I’m Lynzy and I work as the Policy Ambassador for Who Cares? Scotland. I also grew up in care. Who Cares? Scotland is an independent advocacy and campaign organisation that works with care experienced young people, helping them to be listened to. We know that when young people are heard great things happen. The last time the Scottish Parliament listened to care experienced young people, a law called the Children and Young People Act 2014 was brought in and it included some of the biggest changes to care in a long time. However, we know that bigger changes are still needed. This is why Who Cares? Scotland came up with the 1000 Voices campaign. 1000 Voices asks that 1000 care experienced young people’s voices are listened to by the First Minister. We hope that by hearing from 1000 care experienced young people the First Minister will understand how things can be made better for them. In September 2016 the First Minister visited our national office in Glasgow and I got to meet her. After she had spoken with us she decided to back the 1000 Voices campaign over the next two years. Not long after this, she also decided there should be a review of care in Scotland. As someone with care experience I think it is vital for our voices to be heard. We are the ones that live in care so we know how it really works and what it feels like, better than anyone else. Sharing things about yourself can be scary at the time, but afterwards I have always felt empowered. I remember the first time I shared my story, I felt like a bag of nerves but then I felt really listened to. I felt that everything I said had meaning and that finally my story was being understood and not judged. If you are interested in hearing about how you can get involved with 1000 Voices, contact hello@whocaresscotland.org. 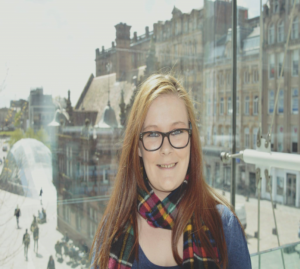 The post The First Minister Nicola Sturgeon is listening to 1,000 care experienced voices appeared first on Reach. This entry was posted in Professional and tagged Care experienced, Changing School, Domestic abuse, family in prison, have my say, Having your say, Money and housing issues on 9 March, 2017 by Amy. Hello, this is Jordan . I’m 19 years old, live in Ardrossan and I am autistic. I was diagnosed with Asperger’s Syndrome at the age of 3. It affects my daily lifestyle in many ways. I also am the author of “JUST Jordan”, a newsletter that I write monthly about topics that affect me as an autistic person. I am passionate about raising awareness about autism, so much so I have won two awards for my voluntary work at the National Autistic Society. When I was at school, I always felt the need to tell everyone I met, my classmates, about the fact I am autistic because I felt like sharing my diagnosis so that everyone knew why I acted differently from other people. Their reaction was mostly that they didn’t know what autism was so I explained it to them, in the most simple way I could. I guess you could say I got the odd inclusion from then on. However, it was probably harder to explain autism to my teachers because they would have to find out my needs for the classroom, schoolwork and other things like that. But there was one teacher from secondary school who completely understood me. He was my guidance teacher who would come to help me if need be, for example: helping me with social skills. At secondary school, my favourite subjects were Art and Design (I was and still am pretty artistic as you will see from my newsletter), Games Development (gaming is one of my favorite things to do and I wanted to learn more about how to make one) and Maths (I am quite bright and was really good at Maths). Another hobby of mine is to go out for a drive in my car since I passed my driving test last year and now I can go visit my friends whenever I please. I am also very much into helping my mother organize fundraising events for the National Autistic Society and Jo’s Cervical Cancer trust, both charities that mean a lot to us. When I was still in school, I didn’t really feel a lot of social pressure because I usually went to a room where pupils with learning difficulties or anything similar would socialize in the school break and lunch time. 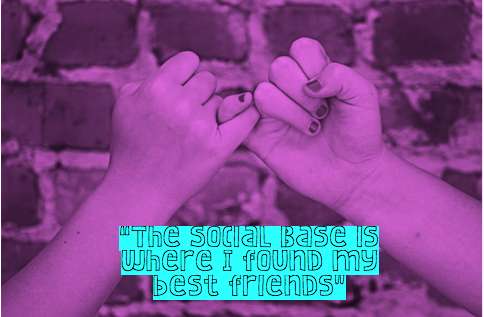 It was called the “Social Base” and this is where I found my best friends and we have remained friends ever since. As a result, I never really experienced my personal struggles, which are noise and the smell of certain things. I think social bases in schools really help pupils fit in, make new friends and help with communication skills. However, I eventually got the confidence to leave the “Social Base” to socialize with other pupils but ended up just watching people socializing around me instead of getting involved myself. School wasn’t exactly all sunshine as I did have to confront bullies. If school life could be made better for young people with autism in one way, it would have to be how to deal with bullies. Bullies would need to understand how they upset others from the victim’s point of view and would need to be educated that others are different in their own way and that they should not be criticised on their differences. If they are curious about someone, then the bullies should ask an appropriate question which doesn’t offend the other person. At least the big move from primary to secondary school was not a problem for me as everything was well planned, for example the bus routes from my house to school were already in place as was the introductory tour of the school, in which we experienced a full week of secondary school with our future classmates and teachers. I also got all of my new school supplies and uniform. Also, the headteacher from the secondary school came to explain what it would be like there. Now that I have graduated from school and passed my exams, I spend my time by doing voluntary work as a young campaigner, also at the One Stop Shop where I supervise group activities, and doing admin at the local radio station 3TFM. What I am most proud of though is my newsletter JUST Jordan, which you can read here. You can join Jordan’s Facebook page here. Or follow Jordan on twitter. The post Jordan’s story – autism, school, friends and other life lessons appeared first on Reach. This entry was posted in Professional and tagged Autism, bullying, Changing School, friends, have my say, Having your say, Leaving school, Support for Learning on 20 January, 2017 by Amy.